Co-ordinates well with other outdoor accessories. Won't leach like terra cotta planters. Made out of strong durable plastic. 30-day limited warranty against manufacturer defects, under normal residential use. AIM cedar outdoor planter boxes are hand-crafted with top quality Western Red Cedar. Cedar has naturally resistant chemicals that prevent rot and decay. It is safe to use with any type of plant and its richness of grain, colour and texture will enhance any outdoor living space. With the Cambridge Raised Planter you can grow perfect flowers and vegetables with less weeding, less pests and no soil compaction. Best of all, the Cambridge raised planter brings your garden to you. Attractively designed with architectural detailing to compliment any outdoor setting; the Cambridge Raised Planter even has a shelf to store pots, soil and gardening equipment. 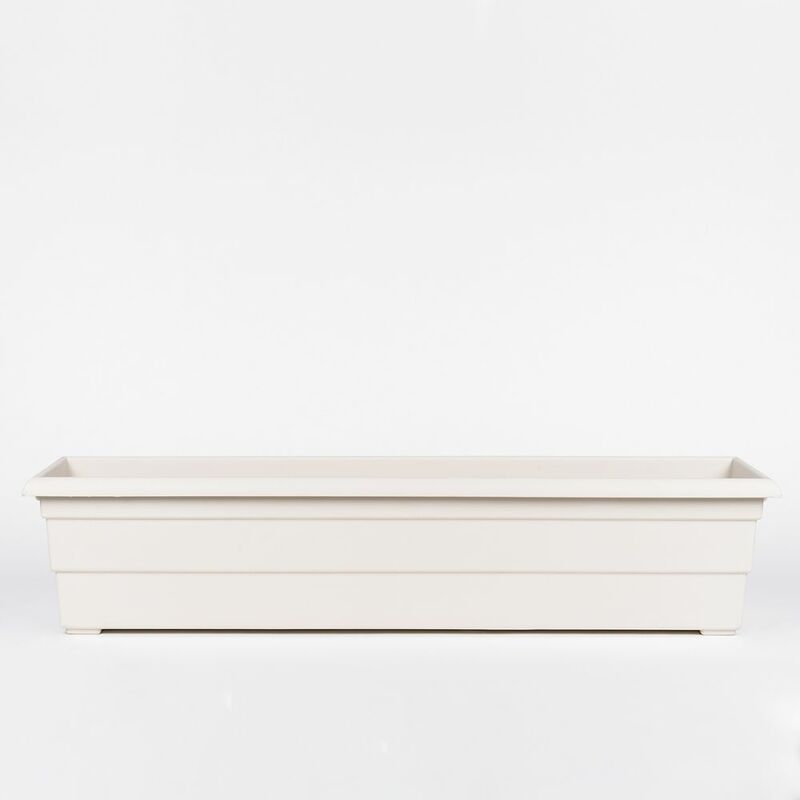 The Cambridge Raised Planter is strong and durable and will never need to be painted or stained. The occasional rinse with a garden hose is all you'll need to do to keep your planter box looking great year after year. The Adjustable Railing Pot Holder beautifully displays three 6 inch pots. The space-saving design andadjustable mounting bracket make it perfect for hanging horizontally over deck railings and fences. Thepot holder is made from durable steel and has an attractive powder coated finish that resists corrosion.Each ring holds up to 6lbs. (2.7kgs). Includes all fasteners for easy assembly. Decorate your garden or patio with this beautiful planter and bring allure and opulence to your outdoor living space with this ornate and well-built planter. Impeccable detailing on the bowl and side panels will make you swear this handsome planter was plucked straight from an ancient Grecian palace and placed right in your backyard! Built from durable aluminum and steel this planter will last for seasons to come. 24-inch Windowsill Planter in Linen Co-ordinates well with other outdoor accessories. Won't leach like terra cotta planters. Made out of strong durable plastic.